The California wildfires have caused over 20 fatalities, destroyed over 3,500 homes and businesses, and caused over 20,000 people to evacuate their homes. It is truly tragic that our nation is suffering from yet another disaster, however there many organizations that have responded to the disaster and several ways that you can help the victims. The American Red Cross is collecting donations on this webpage. Donations can be made using credit card or PayPal. There are also instructions on the webpage on how to donate through mail or over the phone. Alternatively, the Santa Rosa community has created a crowdfunding page to raise money to assist with recovery and help the many people that are affected by the wildfires. These are a few of the truly great causes that you can donate to and make a difference in the lives of people in need. Every single donation helps and can make an impact in the lives of the many victims of the California wildfires. Airbnb conducted a program to help those in need during Hurricane Irma. Airbnb is doing the same during the California wildfires through their Open Homes Program. They are using their platform to provide housing for displaced victims as well as relief workers that have been deployed to help on the front lines. There are already over 500 hosts and every single additional home that is shared through Airbnb makes a significant difference in the lives of affected California residents as well as relief workers. In order to find shelter, you can visit this webpage to browse the homes that have already been donated. If you are looking to help and sign up your home, you can visit this webpage to see if your home is in the proper region, find out more information, and begin the process. Shelter for victims can also be found through the American Red Cross on their Find Open Shelter page. Redwood Empire Food Bank is currently accepting donations that they will deliver to evacuation centers immediately. They ask that the foods that are donated be easy to open and easy to eat in addition to being non-perishable because many of the shelters do not have access to kitchens that can be used for preparing food. You can bring all food donations to the Redwood Empire Food Bank at 3990 Brickway Boulevard in Santa Rosa. The American Red Cross and Redwood Empire Food Bank are both looking for volunteers. Donating your time and joining the frontlines to aid those that are in need is one of the most valuable ways that you can help. The American Red Cross Volunteer Connection page can help you volunteer and find ways to get involved with helping California communities in need. The Redwood Empire Food Bank volunteer page also details the many ways that you can help and provides a link to volunteer. You can also get more information or schedule a volunteer group by calling the REFB Volunteer Services Coordinator Helen Myers at 707-523-7900 extension 143 or . The simplest way that people can help the victims is by just raising awareness. Just bringing the story about the California wildfires and the numerous ways that people can help victims to the national forefront can help these organizations providing relief tremendously. 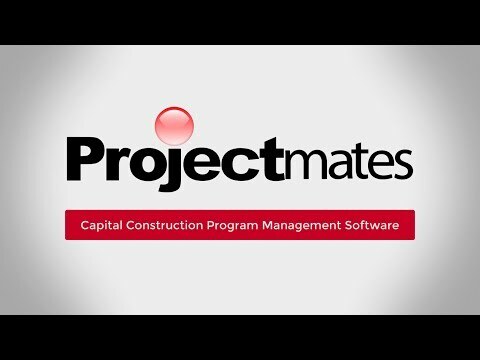 Projectmates hopes to increase awareness and inspire people all over the nation to aid victims in any way that they can. Every donation can really help and collectively the donations make a monumental impact on the many victims of this disaster. It has been a full month since Hurricane Irma made landfall, but the damage to the area has been so extensive that recovery could take a substantial amount of time. Hurricane Harvey made land fall three days ago and has unleashed a huge amount of rainfall across Texas and parts of Louisiana. Displacing over 17,000 residents as of Tuesday morning, many people are coming together to help in any way they can.